“In the post-Georges St. Pierre welterweight world, the Ultimate Fighting Championship welterweight division continues to get progressively more exciting. 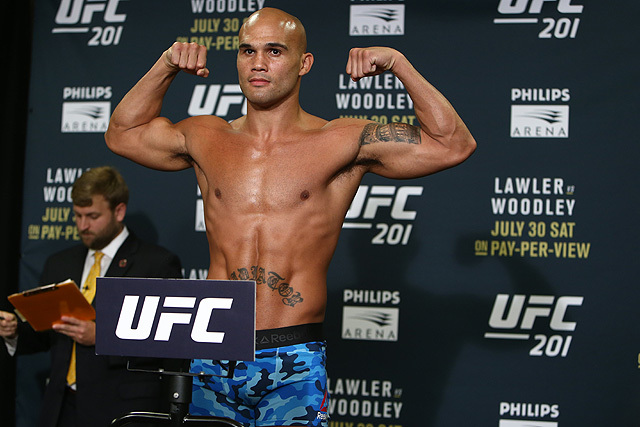 Robbie Lawler has been busy stringing together an unprecedented spree of classic fights. Most recently, he took a controversially close split decision in a back-and-forth affair with Carlos Condit on Jan. 2. Before that, he authored a signature win in an all-time great bout against Rory MacDonald in July 2015, which was his first title defense and only fight of the year. The unlikely late-career resurgence for the longtime vet has been a true feel-good story; prior to his return to the UFC, Lawler went 3-5 in Strikeforce with several uninspired performances. Now he is two wins away from tying the title defense record of mentor and former coach Pat Miletich. Standing in his way at UFC 201 on Saturday in Atlanta is fellow Strikeforce alum Tyron Woodley. The NCAA All-American wrestler has had a sterling-if-not-slightly-underappreciated career thus far. After failing to capture the Strikeforce welterweight championship in 2012, Woodley has gone 5-2 in the UFC, losing only to Jake Shields and Rory MacDonald, the former a much-maligned split decision loss most felt was a robbery. Despite being among the elite welterweights for half a decade, “The Chosen One” has surprisingly little to show for it, making this a high-stakes bout for him. Woodley has not fought since UFC 183 in January 2015. 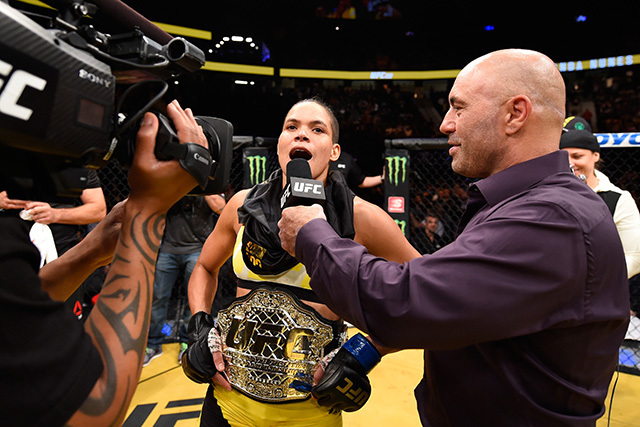 “It wasn’t long ago that the conversation about women’s divisions in the Octagon started and ended with one word: never. Of course, a lot has changed since then — namely, Ronda Rousey happened — and now with the successful expansion of the strawweight division and solid showcase bouts at 125 and 140 pounds, the arguments that women’s divisions are untenable or uninteresting are dumber and more transparently antiquated than ever. “It was supposed to be a night for the ages. Few left UFC 200 thinking it lived up to the hype, but that’s to be expected; when you build up an event as the best thing ever, there’s very little room for error, since it has to be better than, well, everything else before it. 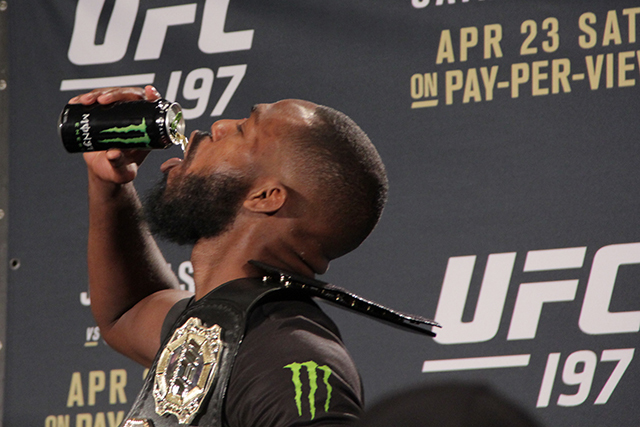 The headlining fight falling apart just days prior to the event is too big of a hiccup to qualify any event as the best ever, but even in spite of Jon Jones’ United States Anti-Doping Agency scandal, UFC 200 was still a night for the ages. Actually, it might be more accurate to say it was a night of the ages. Indeed, UFC 200 was a strange time-warp of an event. “Of all the big fights coming up this weekend, this one deserves to be the main event’s main event. Jon Jones and Daniel Cormier have been the centerpieces of the Ultimate Fighting Championship’s light heavyweight division for the past two years. They were originally slated to fight at UFC 178 in September 2014, but an injury to incumbent champion Jones postponed it to UFC 182 four months later. By then, Jones had already strung together a record-setting seven light heavyweight title defenses, while Cormier was 2-0 at 205 pounds. “Bones” took a clear though at times competitive decision win over Cormier before the UFC stripped him of his title for outside-of-the-cage shenanigans. After a lengthy time away, Jones made his comeback in April, when he coasted through Ovince St. Preux for the interim light heavyweight title. This will be the first time since 2013 that Jones fights more than once in a year. On the other side of the cage at UFC 200 on Saturday in Las Vegas will be the former Strikeforce heavyweight grand prix champion and current UFC light heavyweight champion, though the latter accolade was only available once Jones was out of the picture. Since losing to Jones, Cormier has won two straight, choking out Anthony Johnson for the title and defending it in a razor-close decision against Alexander Gustafsson. Cormier has solidified his spot as the best 205-pounder in Jones’ absence, but that absence has always loomed over his championship claims, making this a high-stakes fight for his legacy in the promotion and the sport. Since joining the UFC, Cormier has fought at least twice every year, but this will be his first fight of 2016.